The STS-103 emblem depicts Space Shuttle Discovery approaching the Hubble Space Telescope prior to its capture and berthing. The purpose of the mission is to remove and replace some of Hubble’s older and out-of-date systems with newer, more reliable, and more capable ones, and to make repairs to the Telescope’s exterior thermal insulation that has been damaged by more than nine years of exposure to the space environment. 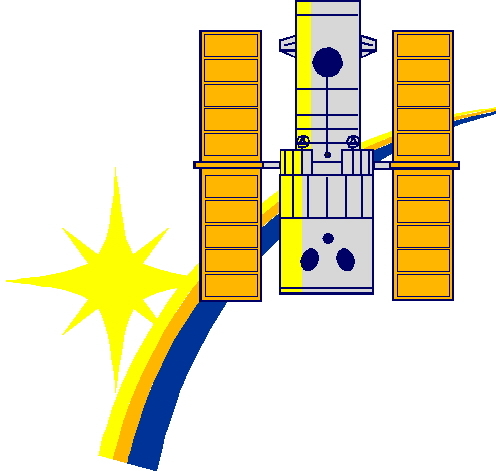 The horizontal and vertical lines centered on the Telescope symbolize the ability to reach and maintain a desired attitude in space, essential to the instrument's scientific operation. The preservation of this ability is one of the primary objectives of the mission. After this mission, the Telescope will resume its remarkably successful exploration of deep space and will continue to be used to study solar system objects, stars in the making, late phases of stellar evolution, galaxies, and the early history of the universe. 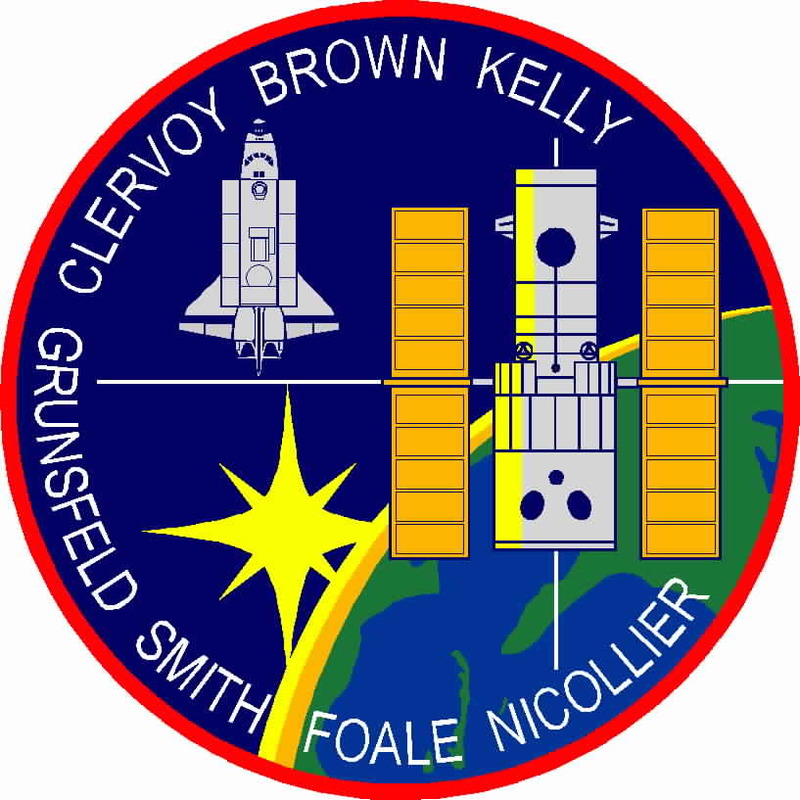 The Hubble Space Telescope as represented on this emblem was inspired by views during previous servicing missions, with its solar arrays illuminated by the sun, providing a striking contrast with the blackness of space and the night side of the Earth.